What Did These Apps Do? 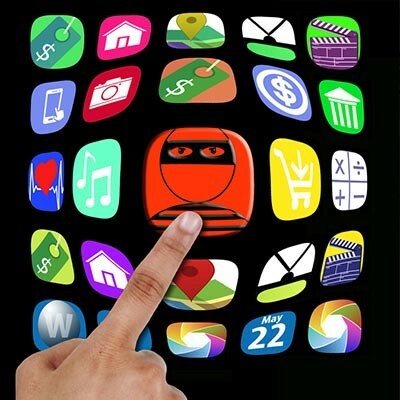 SophosLabs found a cache of apps that feature what they call “Andr/Clickr-ad” malware. These applications are engineered with maximum flexibility in mind. They could contact a common attacker-controller server to download what is called an ad-fraud module. It does this every 80 seconds. The malware simply opened a non-visible window and would repeatedly click on ads, making the network look like it was getting more traffic, fraudulently enhancing the developers’ revenue. No specific ad network was specified by Sophos, but users who had downloaded these applications would see a decrease in the battery life and/or an increase in the amount of data their device would use. One strange part of this is that some of the ad traffic was able to identify itself as from coming from iPhones, despite this appearing on Android-only apps. They came from “Apple models ranging from iPhone 5 to 8 Plus and from 249 different forged models from 33 distinct brands of Android phones.” This ploy was used as a way to increase revenues further as some advertisers will pay a premium to get their ads onto Apple devices. iOS versions of the apps, largely by the same developers, didn’t have the malicious code integrated. Read a lot of reviews - Much of the information you will need to see the legitimacy of an application can be found in the review of the app in the store. If you make a point to read eight or more reviews, you will quickly get a good idea about how functional the application is. Check app permissions - Applications need permission from a user to use the core functions of the phone. If the application in question tends to need access to functions that it shouldn’t, you should be skeptical about the application. Check the terms and conditions - Most people don’t go through the terms and conditions of anything, let alone an application for their smartphone. Even if you do make a point to read them, the amount of legalese found is akin to a lullaby or a warm glass of milk. The problem for users is that there is a lot of good information about the applications, and specifically how it uses data. If you do set aside some time to read about it, check out some language that is relevant to the way you use the application. Research the developer - Nowadays, software development is filled with people that are looking to make a name for themselves. This type of ambition can lead to bad decision making. If you take some time to do some basic research about the developer of an app you have reason to question, you’ll likely find the truth of whether they can be trusted or not. If they want to be known, they likely promote their work via social media, so, start there. Android has millions of legitimate applications on the Google Play Store, so worrying whether or not you’ve downloaded one that will put your data at risk shouldn’t be too worrisome as long as you stick to our best practices. To learn more about technology, security, and mobile strategies, call Global Tech Solutions today at (800) 484-0195.